Whoosh. The sound of a tennis racket swinging echoes off the walls of a small New York apartment on the Upper East side. 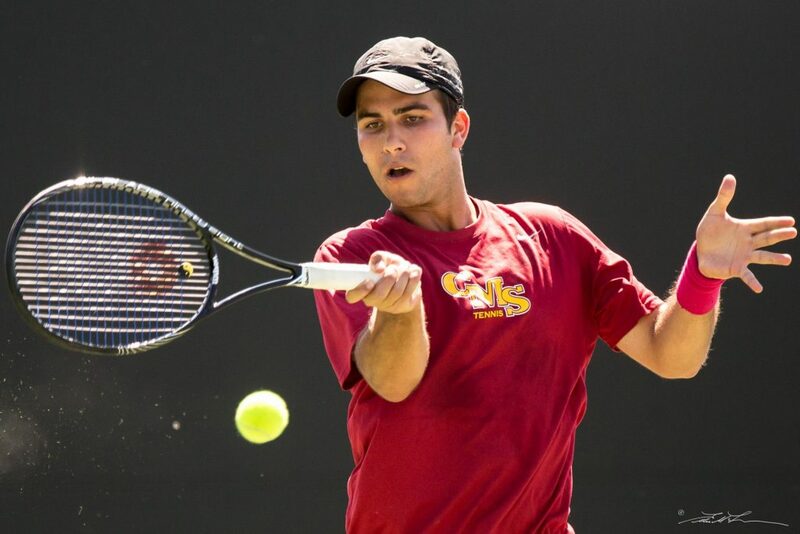 It is the first time three-year-old Alex Brenner (Claremont Colleges, 2017) has ever held a tennis racket. He and his grandfather playfully hit the ball up and down the apartment complex hallway. Whoosh. The racket is nearly the size of his body, making it hard to picture the six-foot-three, 185 pound frame he will one day occupy. His awkward swinging motion bears no resemblance to the technical, explosive strokes that will one day help to fulfill dreams of an NCAA championship and represent the United States at the 2017 Maccabiah Games. Whoosh. The ball glances off his racket and rolls down the dim hallway, far from the countries and tournaments he will one day travel to on the professional tennis tour. At the age of five, Brother Brenner moved from New York to the Bay Area. Tennis took hold of his life by age twelve, when he first started competitive play. 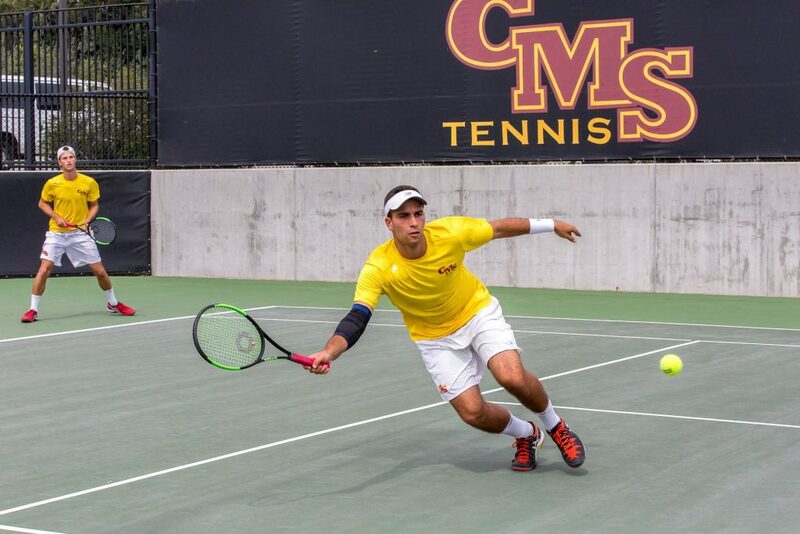 He boasts a self-described “attacking style of play” featuring a powerful serve and blistering groundstrokes. 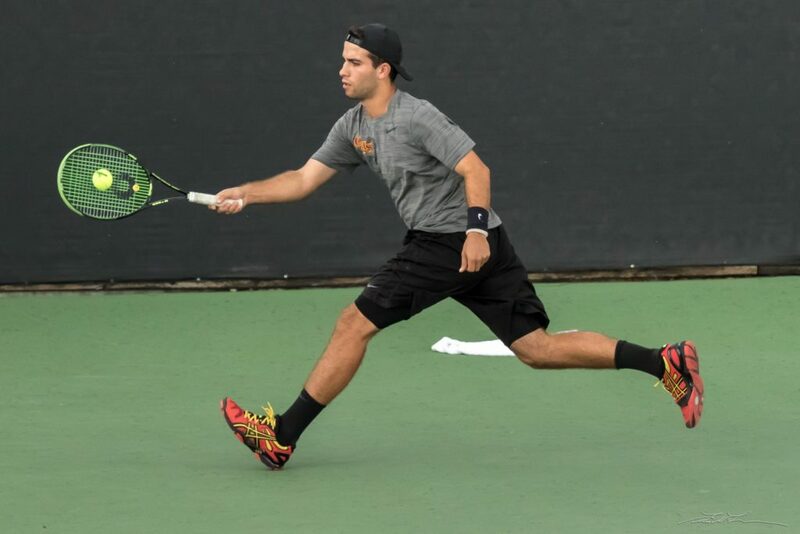 Following his career as a four-year starter in high school, Brother Brenner pursued his dream of winning a collegiate tennis title to Claremont McKenna College in southern California, a perennial powerhouse in NCAA Men’s D3 Tennis. 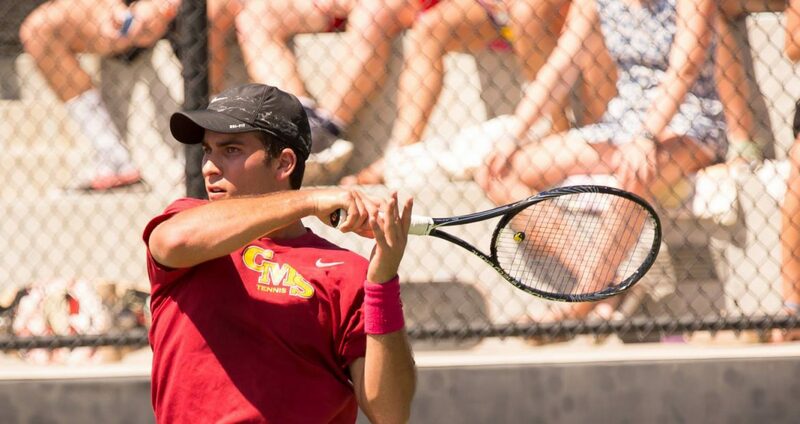 Between practice and academics, he also found time to start several businesses at Claremont. By all accounts, the forecast for this San Francisco native’s future in southern California was looking bright. “Come back when you’re ready to play.” Brother Brenner was cut from the tennis team in his first semester. More than being physically demanding, tennis requires extreme focus. As a freshman, Brother Brenner’s focus wasn’t there. “I was devastated,” he recalls. For an 18-year-old student-athlete, getting cut from the team can often mean the end of one’s entire athletic career. In 2017, Brother Brenner represented the U.S. in tennis at the 20th Maccabiah Games, one of the world’s largest sporting events. He credits AEPi, in part, for leading him to compete in the games and ultimately for strengthening his Jewish identity throughout college. Entering his freshman year, Brother Brenner had heard of AEPi, but Claremont had no Greek life on campus and a failed attempt by AEPi to colonize there the year prior made the prospect of a second attempt unlikely. By coincidence, he ended up with two other Jewish athletes as roommates that year, and a chance encounter with a student who had been involved in the previous colonization attempt prompted the trio to recruit a team of Jewish students and recolonize. When the dust settled, there were 25 founding fathers. “That whole experience was so rewarding,” Brother Brenner stresses, “there’s something to be said for Jewish brotherhood, having another team […] it made me want to explore [my Judaism] more.” Brother Brenner served as Pledgemaster and Brother-at-Large, and cites the chartering as one of his proudest moments.